Craves, Caves, & Graves: Underneath it All! Of course, it wouldn't be right to show you EVERYTHING. I'll just give you a few highlights and you'll have to see the rest for yourself. 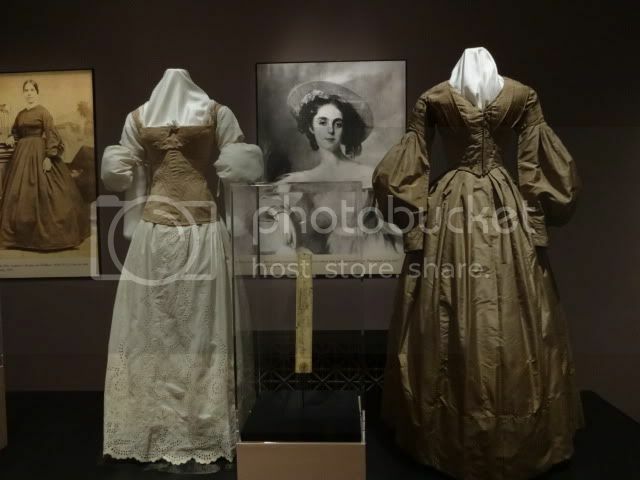 The exhibit ends on Sunday, though, so you better hurry! The case in the middle (above) contains a carved ivory busk. 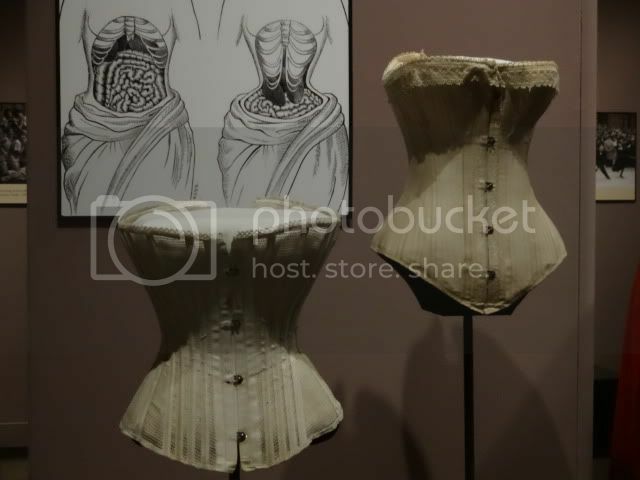 I had no idea that before there were steel busks, there was a pocket in the front center of a corset, and ladies put this piece of ivory in it to flatten their belly. The next case contains a pocket. 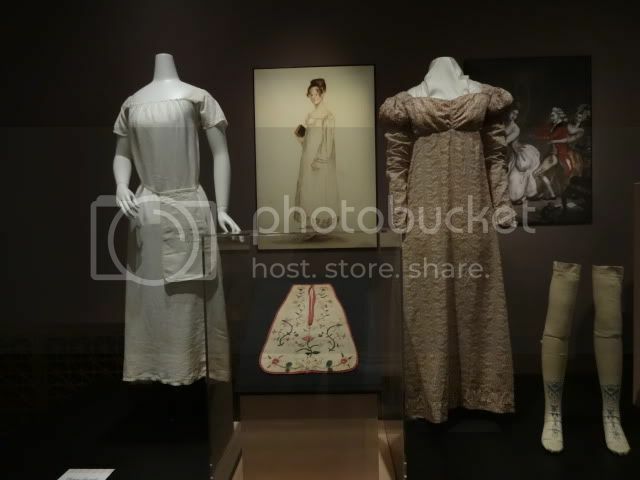 You can see on the mannequin to the left that there is a plain pocket over the chemise, which would be worn under the dress. The one in the case is all fancy-embroidered because rich ladies had a lot of time on their hands to decorate clothing no one ever saw. 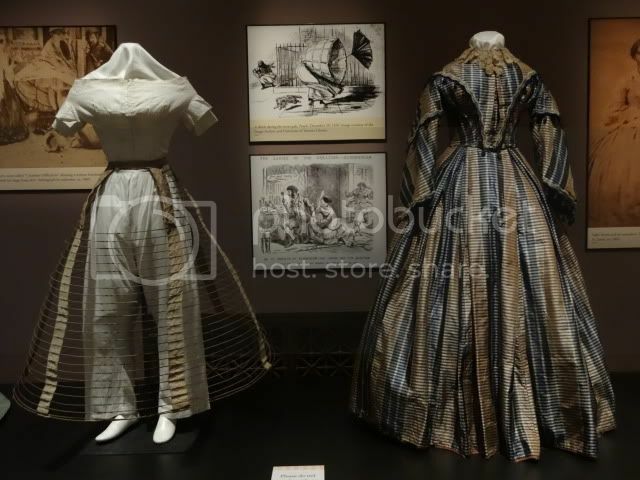 Fun fact about the dress above: patterns like plaid were for rich ladies because it might require 16 yards of fabric to match the pattern at the seams for a dress like that. Yes, that is a maternity corset. And that is a sport corset (left). Seriously, it's a corset for sports. It's made of a mesh like material, but it's still corset. Let me tell you about something else we saw that is "breathable": a RUBBER GIRDLE. It was "breathable" because it was poked full of tiny holes. Just imagine wearing a rubber girdle in St Louis in August, holes or no holes. 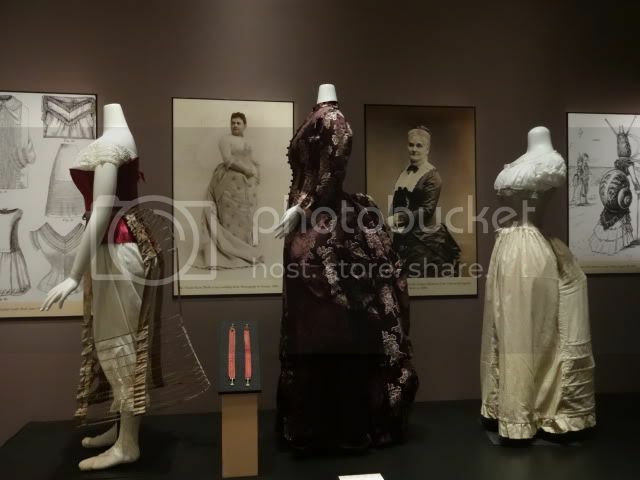 I heard some ladies at the exhibit looking at some derriere padding say, "Can you believe they used to try to make their butts BIGGER?" Well, you might notice something here, almost all the fashion over the years focused on large bosoms, small waists, and child bearing hips. There's a reason the Kardashians are famous, and it's not personal accomplishments. 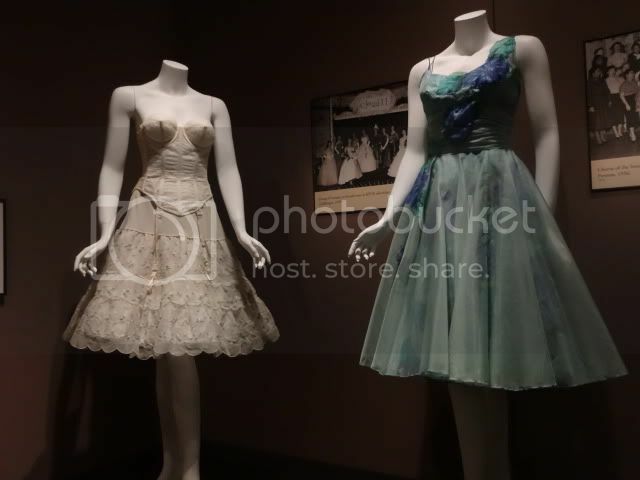 One last one that I just have to throw in because the 50s party dress has always been my favorite silhouette. Everyone looks good in a party dress. Underneath it All is at the Missouri History Museum in Forest Park (5900 Lindell Boulevard) until the end of the day on Sunday. Admission to the museum is free, although I believe there is a charge for the special exhibit, the Civil War in Missouri (through June 2).